Saint Benedict describes four kinds of monks: two kinds are worthy of consideration, the cenobites, who live in a monastery and under a rule or an abbot, and the anchorites or hermits. Saint Benedict wrote his rule for cenobites; he does not however exclude the possibility of seasoned old monks, veterans of “the hard and rugged paths by which we walk towards God”, withdrawing into solitude to engage in single-handed spiritual combat. What must an abbot look for in the monk who asks his blessing to withdraw into solitude? Such a monk must, first of all, have demonstrated over at least thirty years that he truly seeks God, that he has been zealous for the Opus Dei, and shown himself humble and obedient in in all the circumstances of life. He must be a monk well practiced in the use of all the Instruments of Good Works given in Chapter IV of the Holy Rule. He must be of an obedience such that “as soon as anything is ordered by the superior, he suffers no more delay in doing it than if it had been commanded by God Himself” (Chapter V). He must be cheerful, affable, and meek. He must be a lover of silence and content to sever all ties with the world. He must be one who has climbed the twelve steps of humility and arrived, like Saint Antony of Egypt, “at that love of God which, being perfect, casteth out fear” (Chapter VII). He must be one for who prefers the Opus Dei to all else: a monk rigorously faithful to choir and imbued with the spirit of the liturgy, in imitation of Christ the Priest, who “was heard for his reverence” (Hebrews 5:7). Finally, in the aspiring hermit, the abbot will look for a man who, in every way, illustrates the good zeal, the forbearance, obedience, chastity, charity, and utter attachment to Christ of Chapter LXXII. Blessed the abbot who finds such a man among his sons! The main purpose for your having come together is to live harmoniously in the house, intent upon God, with one heart and one soul (Acts 4:32). Cœnobites, brought together by God, “who maketh men of one manner to dwell in a house” (Psalm 67:7), live under a rule; their way life is not improvised, nor is it subject to change and reinvention. Saint Benedict says militans sub regula vel abbate: serving under a rule or an abbot. Saint Benedict seems to equate serving under a rule with serving under an abbot. This is a profoundly traditional way of looking at monastic life. 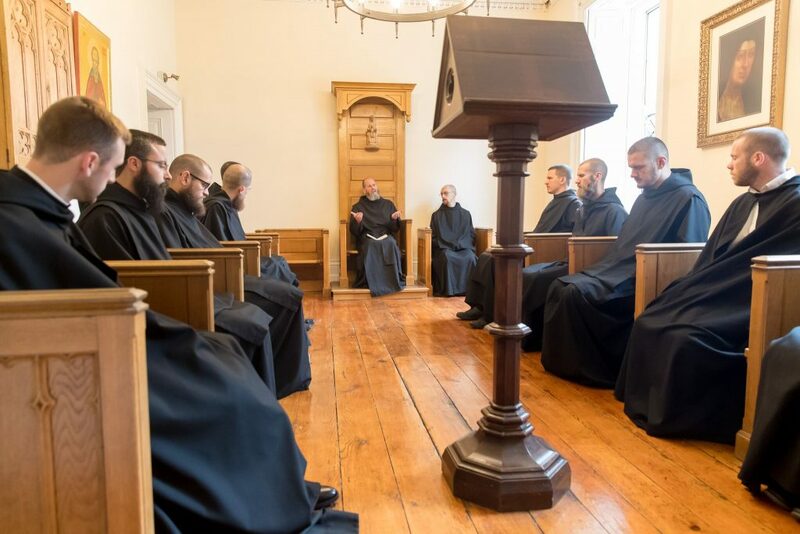 In Eastern monasticism, it often happens that a small number of disciples will live with an Elder and learn from living with him how to be monks together. The abbot himself, having hearkening to the doctrine of his own fathers in Christ, received the monastic grace and allowed it to shape him to the point of being able to transmit it by a two-fold teaching of deeds and words. The rule, being both fixed and objective, sets forth and safeguards the same tradition that the abbot embodies and passes on in the current of daily life. Should the rule, by some misfortune, ever come to be lost, its content can be reconstituted by means of the abbot’s doctrine and deeds. If the abbot, by old age, illness, or death, become incapable of transmitting the monastic tradition, the rule remains a reliable summary of it. By way of analogy, one might say that, with reference to the double source of Divine Revelation, the Holy Rule corresponds to Sacred Scripture and the abbot to Tradition. 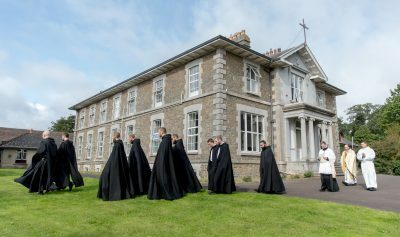 In the daily chapter, an indispensable element of every monastic reform or revival, the rule and the abbot come together in a life–giving synthesis. Just as holy preaching ignites the Word of God in the hearts of the hearers, so too does the abbot’s daily commentary on the Holy Rule bring the text to life. The text of the Holy Rule becomes, in this way, like the leaven kneaded into the mass of dough, as Saint Benedict says: “Let his bidding and his doctrine be kneaded into the minds of his disciples like the leaven of divine justice” (Chapter III). Apart from the Holy Rule and the doctrine of the abbot, a cœnobium will have other references for life together: the Declarations, the Statutes, the Ceremonial, the Customary, and the liturgical Ordo. These resources complement the Holy Rule and the doctrine of the abbot; they facilitate a certain tranquility of order in daily life and, at the same time, foster a healthy continuity and regularity.